I never new how addicted I was to this feature until it stopped working. I literally get my browser to read almost everything to me from Emails I draft, to new articles I read. I’ve submitted typos reports to the New York Times, DailyDot, The Guardian, Mic.com, Globe and Mail, CBC.ca, Vox.com and more. I found them all by “listening” to their articles. 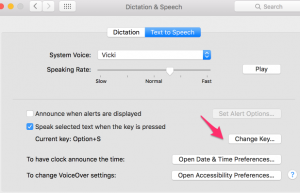 I configured Option+S to start speaking selected text (any application). 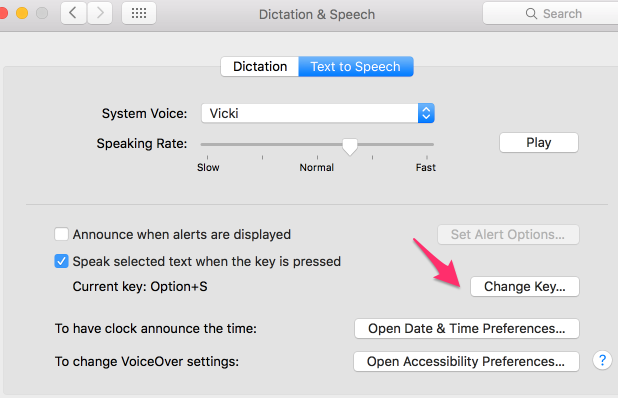 It’s ok I guess… but really miss the ability to right click on and speak in Chrome.